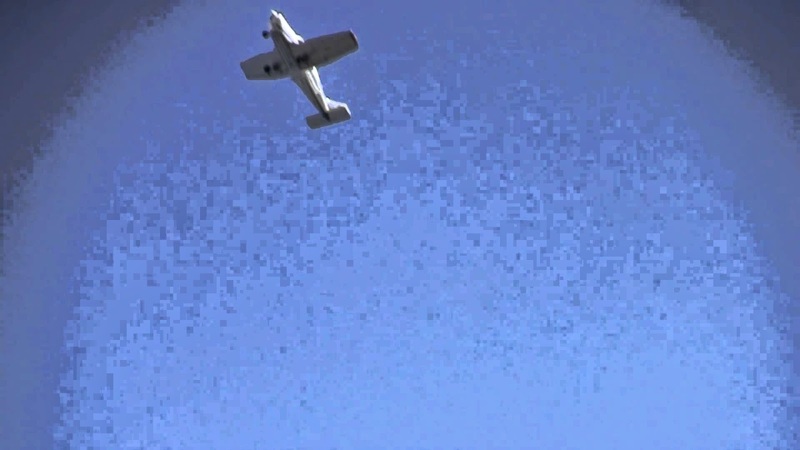 Signs warning of potential air pollution dangers of leaded fuel fumes from small airplanes will go up at Napa County Airport and 22 other California airports. The move comes about because of a recent lawsuit settlement among the Oakland-based Center for Environmental Health and 30 defendants that sell or distribute fuel at airports. Napa Jet Center, the aviation service provider at Napa County Airport, was among the defendants. Each defendant must post three warning signs at least two feet by two feet in size at conspicuous locations, such as along roads. The signs will say people within one kilometer of the airports - a little over a half-mile - can be exposed to lead, a chemical known to cause cancer, birth defects or other reproductive harm. Caroline Cox of the Center for Environmental Health said one goal is to spur the aviation industry to make unleaded fuel available for propeller planes. Commercial aircraft use unleaded jet fuel. At issue is lead found in aviation gasoline – or avgas - for small piston-engine propeller aircraft. Avgas has raised health questions similar to those that surrounded automobile leaded gasoline phased out by the Environmental Protection Agency in 1995. Some small aircraft can use a high-octane, lead-free automotive gasoline called Mogas, but Mogas is not sold in California because of state fuel requirements concerning ethanol content and other factors, the settlement said. Willey said the signs required by the lawsuit settlement are an awareness issue. He pointed out that similar warning signs under California’s 1986 Proposition 65 can be seen at places ranging from grocery stores to gasoline stations. “It’s an opportunity to look around and make the environment better,” Willey said on Tuesday. Avgas used at the 23 airports has an octane rating of 100 and is “low lead,” according to the settlement. “Very low lead” avgas has been approved by the Federal Aviation Administration, but is not yet available commercially in California. The settlement says that the airports will sell the airplane fuel with the lowest lead that’s available. The Federal Aviation Administration has set a 2018 deadline to have a replacement, unleaded fuel on the market, Cox said. She expressed hope the agency sticks to the deadline. What the Center for Environmental Health calls the one-kilometer lead “exposure zone” around Napa County Airport includes industrial and business development near the airport and wetlands in the Napa-Sonoma marshes. It does not include residential subdivisions. Among the other defendants involved in the settlement are Sacramento Executive Airport, Hayward Executive Airport, Oakland International Airport, Palo Alto Airport and Santa Barbara Municipal Airport. NORTH CHARLESTON, SC (WCSC) - Tuesday, Boeing opened its doors for a behind the scenes look at its facility. The company employs more than 6,000 people at its North Charleston sites, and every month, it pumps out three 787 Dreamliners and 10 middle and aft sections for the planes. "Nobody would've thought we'd be building aircraft with this level of productivity and quality so early in the game,” Beverly Wyse, the incoming General Manager and Vice President of the SC site said. Wyse is replacing Jack Jones who is retiring. At Boeing in Washington, she managed the 737 line, which produced a record 42 planes a month. Boeing's goal in South Carolina is to be at seven Dreamliners a month and 14 sections. Right now, it has a backlog of 1,017 Dreamliners, so if an airline ordered a plane today, they'd have to wait about eight years to pick it up. "You bring up the one area that we have to keep working on which is ensuring that we're able to meet our customers' demands when they need the aircraft," Wyse said. Boeing says the backlog isn't just a bad thing. It says it shows a high demand and stability in years to come. Unions have been a major talking point for Boeing recently. Tuesday, Wyse reestablished Boeing's position that they could play a factor in productivity. "We don't believe that the unions are in the best interests of our teammates,” Wyse said. "Clearly we've seen unions work at some of our sites. It's not that it can't be done it's is that in their best interest." Now, Boeing is working on its new painting facility by the airport so it doesn't have to fly planes out of state to Louisiana or California, just another way to speed up production. The next step is to begin work soon on its new 787-Max model of the Dreamliner. It expects the Dreamliner model to be in service for 30 to 40 years. Transport Canada remains committed to require life vests for float plane passengers almost four years after the federal transportation safety board investigating the death of six persons in a crash off Saturna Island made the recommendation, the department’s director-general of civil aviation says. 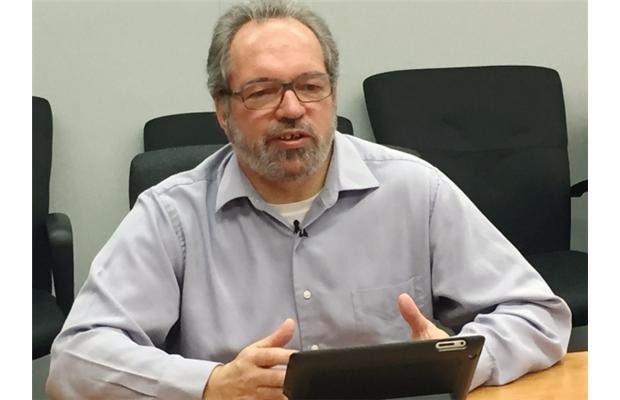 In an interview with The Vancouver Sun, Martin Eley defended the amount of time it is taking to mandate an industry-wide solution that has been adopted voluntarily for several years by some float plane operators along the B.C. coast. “We’ve been actively working with industry to look at solutions ... what types of life-jackets that would be appropriate,” Eley said during a visit to Vancouver. Two issues associated with mandatory life vests are the ability to get out of the airplane while wearing them and the ability to activate the vest and survive in the water. When it comes to ordering better escape methods from float planes, Eley is less enthusiastic about regulatory action. Instead, Transport Canada supports industry improvements, such as pop-out windows and better door latches on de Havilland Beaver aircraft, and egress training for pilots. The safety board on March 17, 2011, recommended, in part, the mandatory wearing of life vests on sea planes after the Nov. 29, 2009, crash of a Seair Beaver that killed six passengers. The pilot and one passenger escaped with serious injuries, but might have perished had not two bumpers come off the sinking aircraft and served as lifebuoys until help arrived. Typically, life vests are stored folded in pockets under plane seats, where there is little or no chance that panicked passengers will grab them before they leave a plane that is filling fast with water. Meanwhile, Transport Canada continues to resist the safety board’s recommendation for new regulations to reduce the risk of post-crash fires. In 2006, the safety board recommended Transport Canada address the issue of post-crash fires on planes under 5,700 kilograms, including requiring switches that could kill the electrical system and prevent leaking fuel from creating a deadly blaze. Almost a decade later, the board continues to officially rate Transport Canada’s response as “unsatisfactory” — and the death toll continues. On Aug. 16, 2013, a pilot and passenger survived the crash of an Air Nootka Beaver float plane on the Hesquiat Peninsula only to die in the ensuing fire. Four other passengers escaped with injuries. On Oct. 27, 2011, a Northern Thunderbird Air Beechcraft King Air 100 crashed just short of Vancouver International Airport’s south runway after returning because of an oil leak. The pilot and co-pilot were badly burned and died from their injuries. The seven passengers escaped with injuries with the help of witnesses. Eley said Canada prefers to work in concert with the U.S. on ways to reduce crashes, citing a July 2012 requirement for terrain awareness warning systems on commercial air taxi/commuter aircraft. Transport Canada is not prepared to launch alone into the issue of solving post-crash fires on a variety of aircraft, most not made in Canada, even on a seemingly simple solution such as a battery kill switch, Eley continued. In the absence of industry-wide regulations, individual aircraft owners are discouraged from making such modifications on a voluntary basis because it can cost $12,000 to obtain the necessary engineering and Transport Canada approvals. Martin Eley, Director-General of Civil Aviation with Transport Canada, says his department is committed to requiring the wearing of life-jackets by people aboard floatplanes. An Arik Air staff have been arrested at the Murtala Muhammed International Airport in Lagos, western Nigeria, siphoning fuel from an aircraft, Osita Chidoka, the Minister of Aviation said on Monday. “On 15th February, 2015, at about 0255hrs at the Murtala Muhammed International Airport,(MMIA), Lagos, the sustained security patrol and surveillance operations across the nation’s airports, by the aviation security staff, yielded a good result that led to the apprehension of the following three Arik staff namely; Blessing DUGBE, Samuel ASUQUO and Isaac AJAKAIYE siphoning jet A1 fuel from Arik airplane, registration number 5N-MID, into six(6) jerrycans for possible sales, at cheaper price to other airlines,” Chidoka said. The theft, he said, threatens safety and security of airplanes. “Considering the magnitude of this crime and the attendant consequences, the act is likely to portend to safety and security of Arik airplanes and other aircrafts parked at the MMIA apron, the Chief Security Officer(CSO), MMIA, Lagos, had been requested to ensure that the suspects are handed over to the airport police for adequate prosecution, to serve as a deterrent to others,” Chidoka said. The three suspects have been handed over to the Crime Investigation Bureau(CIB), AVSEC MMIA for further action. The minister said other Chief Security Officers and Heads of Aviation Security at the nation’s airports, had been alerted and directed to intensify patrol and surveillance operations at their areas of responsibilities. The number of aircraft accidents and fatalities has reached a record low in B.C. — one of the most challenging areas of the country for aviators. The board recorded a total of 30 aircraft accidents in 2014, two of which resulted in three fatalities in B.C. That compares with a five-year annual average of 51 accidents, nine of which resulted in 15 deaths. An aircraft accident involves severe injury, death or damage to an aircraft that requires repairs before being deemed airworthy. Although there is no one obvious reason behind the decline in accidents, Yearwood cited several potential contributing factors: an increase in professionalism, especially in small and mid-sized commercial operations; higher fuel prices resulting in less flying by private enthusiasts; implementation of “safety management systems” for larger operations; and the news media reporting more on aircraft accidents. “There’s a lot more awareness and that has an impact,” Yearwood said in an interview. Aircraft accidents also continue to decline across Canada: 251 in 2014, of which 14 resulted in 21 deaths. That compares with a five-year annual average of 282 accidents, including 37 that caused 67 deaths. 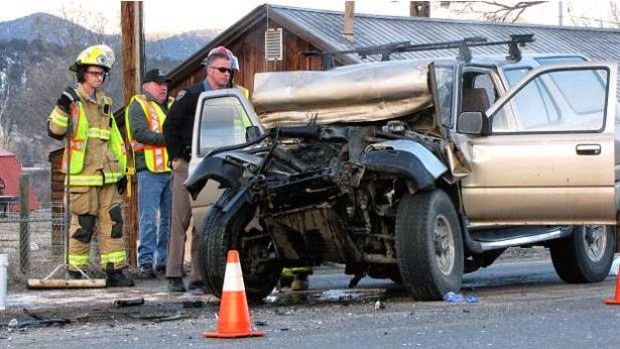 The trend is especially encouraging in B.C., where the mountainous terrain tends to result in worse crashes with a greater chance of deaths. A safety board investigation into the Aug. 16, 2013, crash of a Nootka Air de Havilland Beaver at Hesquiat Peninsula cited pilot error, but also noted the company did not have a safety management system nor was it required to have one. The pilot and one of five passengers died. B.C.’s two fatal crashes in 2014 involved the death of the pilot and passenger in the July 26 crash shortly after takeoff from Nanaimo Airport of a homebuilt Avid amphibian plane, and the death of a passenger in the Aug. 30 crash of a private Cessna 172 during landing on a strip at Crawford Bay north of Creston. The board performed a full investigation into just one accident, the Aug. 14 crash of a Conair Air Tractor collecting water during firefighting duties near Pink Mountain in northeast B.C. The plane sank but the pilot survived thanks to a crash cage, restraints, helmet and life vest. A pilot and passenger survived the crash of an Air Nootka float plane into forest on the Hesquiat Peninsula in 2013 but died from a post-crash fire, a federal transportation safety board report found. CARBONDALE, Colo. (CBS4) – Police and the Colorado Bureau of Investigation are investigating a homicide with strange circumstances in Carbondale where the last murder was more than a decade ago. Originally first responders thought they were just dealing with a victim of a car crash. The man was brought to Valley View Hospital in Glenwood Springs and then flown to St. Mary’s Hospital in Grand Junction for a higher level of care. When he was in the air he told the flight crew he wasn’t just involved in a car accident, but that he had also just murdered his wife in an apartment building in Carbondale. The car crash happened Monday at approximately 7:15 a.m. on Highway 133 heading south out of Carbondale near Roaring Fork High School. The driver of a Toyota 4Runner drove into an 18-wheeler cattle truck that was empty at the time. Several hours later a call came back to Carbondale police that they needed to investigate the alleged confession. “Carbondale Police Department officers responded to the reported location of the homicide and found the residents were not injured. Carbondale Police Officers continued searching apartments in the area,” police said in a statement. Officers then came in contact with a woman who was arriving home to her home on Cooper Place. The woman wouldn’t let officers inside but checked the unit and found a dead body. Investigators worked around the clock and were still at the apartment late into Tuesday afternoon. Neighbors told CBS4 they didn’t know the couple, who kept to themselves. Carbondale police are not releasing their identities yet. The police chief told CBS4 he’s expecting to file an arrest warrant on the husband for murder charges. The man is under protective custody at the hospital in Grand Junction but is expected to recover from his injuries. Police said in the statement that the last homicide in Carbondale happened in April 2003. The suspect was convicted of manslaughter. According to the Post Independent in Glenwood Springs, the last murder in Carbondale city limits was in January 1994 when a man shot and killed his roommate. ATHENS, TEXAS — A punishment hearing was held last Thursday afternoon for Joshua Paul Calhoun. After a full afternoon of evidence and testimony, the presiding Judge Dan Moore sentenced Calhoun to serve 15 years in the Texas Department of Criminal Justice in the Institutional Division. Assistant district attorneys Nancy Rumar and Justin Weiner prosecuted the case on behalf of Scott McKee’s Henderson County District Attorney Office. 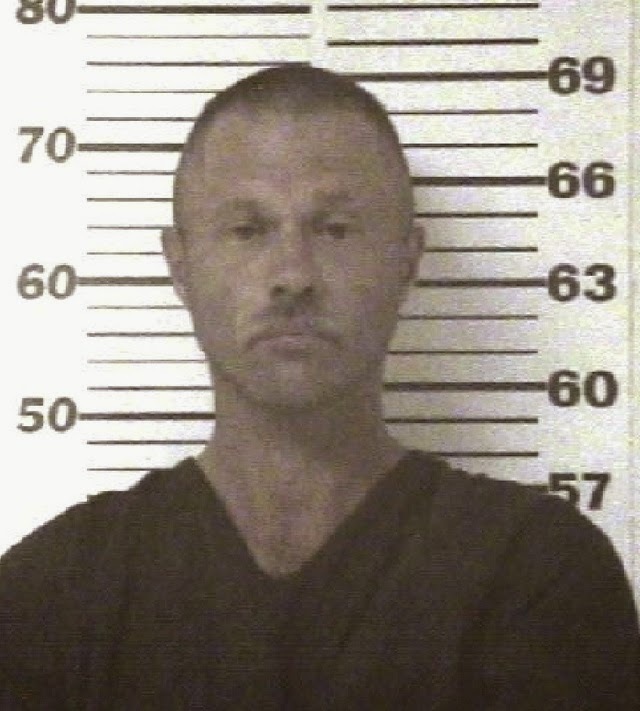 Back on December 10, 2014 Calhoun was indicted by a Henderson County Jury for Evading Arrest or Detention with a Motor Vehicle and also found that he used the vehicle as a Deadly Weapon in the course of committing the offense. The jury, composed of 8 woman and 4 men, convicted Calhoun in only 8 minutes. During the punishment hearing, the assistant district attorney’s presented evidence of various other crimes that Calhoun had committed in the past. In one of those crimes, the Court heard from Federal Customs Border Patrol Agent Cynthia Sandoval. Agent Sandoval was stationed at the Falcon Dam port of entry when she attempted to search Calhoun’s vehicle upon his entry into the Country. When she received information that he was armed and dangerous he tried to get away. In the process he dragged Agent Sandoval over 40 feet with his pickup truck. After a pursuit had ensued, Calhoun escaped and remained at large. Athens Police Department Officer Michael Reynolds testified about his dealings with Calhoun when has stolen an airplane from the Athens Municipal Airport. 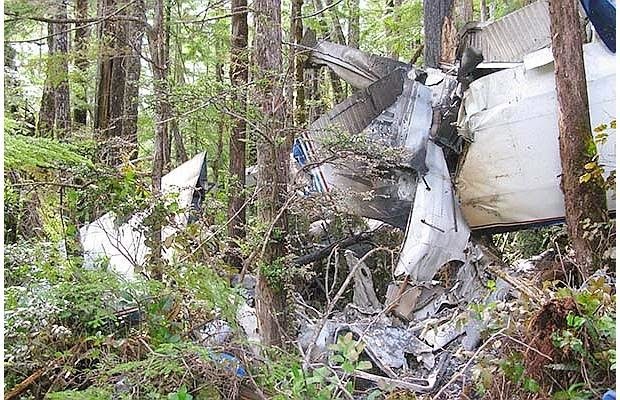 Reports show that Calhoun stole an airplane without any flight experience and was able to fly the airplane for a period of time until it crashed into the woods. Finally, Henderson County Investigator Michael Shelly and Patrol Deputy Tracy Dunnington testified about a time that Calhoun stole a tanker truck. Traveling at speeds over 50 mph on a country road, Calhoun crashed the truck and ran on foot. The Operations Manager for the owner of the tanker relayed the sheer terror that he felt when he found out that the tanker still had 4,000 gallons of diesel fuel inside it. Fortunately the theft, which occurred just outside of Shreveport Louisiana, was tracked by a GPS monitoring device on the truck. Sergeant Kevin Ainsworth of the Greenwood, Louisiana Police Department coordinated efforts with the Henderson County Sheriff’s Office to locate the tanker. Calhoun’s conviction stemmed from a June 18, 2014 incident where Henderson County Sheriff’s Deputy Cynthia Clements received information that a black 2002 Dodge pickup truck, that was reportedly stolen by Joshua Calhoun, would be traveling South on highway 155 crossing Lake Palestine. Deputy Spencer Gray made visual contact with the vehicle and began to follow it confirming that the license plate matched that of the stolen truck. Deputy Clements followed Deputy Gray as the pickup truck turned onto County Road 4222. Failing to yield to Deputy Spencer’s lights and siren, the pickup truck sped up down the one land County Road. The jury watched video captured by dash cameras which showed extremely dangerous maneuvering by Calhoun in the pickup. Reaching speeds of 90mph, two bystander’s vehicles were run off of the road. Calhoun drove at high rates of speeds through turns and at one point cut through the front yard of a home. After miles of speeding down various County Roads, Calhoun temporarily got away while forcing through the entry of a hay pasture. Deputies would ultimately find the severely damaged and no longer drivable pickup at the very end of the pasture right in front of an opening into a heavily wooded area. Multiple agencies were called out and responded to assist in what became a manhunt involving upwards of 25 officers. Officers with the Henderson County Sheriff’s Office, Department of Public Safety, Frankston Police Department, Coffee City Police Department, and even tracking dogs from the Texas Department of Criminal Justice where used to help located Calhoun who began running through thick woods on foot. Investigator Michael Shelley of the Henderson County Sheriff’s Office patrolled part of a four mile perimeter used by the Command Staff of the Sheriff’s Office to contain Calhoun. Investigator Shelley, a member of the East Texas Auto Theft Task Force, noticed Calhoun on the porch of a steel building attempting to blend in with his surroundings. When Investigator Shelley approached Calhoun, he ran towards a brick home and ultimately fled toward a nearby tree line. Calhoun, when pursued at gunpoint by Investigator Shelley, ultimately gave up and identified himself when he was taken into custody. Calhoun was found approximately one mile from where the stolen pickup was found. Eventually, the pickup was processed for evidence and Investigator Shelley located several items of evidentiary value. He located a check made out to Calhoun which was folded in a Bible, a Whataburger receipt, and a Kroger’s receipt. After acquiring the surveillance footage from both businesses, Investigator Shelly identified Calhoun in the black pickup going through the drive-through at Whataburger only 14 minutes before the pursuit began. The jury watched surveillance footage from both locations which provided damaging evidence to the defense. OGDEN — Firefighters responded to the Ogden Municipal Airport after a plane aborted its takeoff Monday afternoon. At about 2:30 p.m., a Cirrus SR22 carrying four occupants attempted to take off from the airport, according to the Ogden Fire Department. Smoke had begun filling the plane, prompting the pilot to stop takeoff and get all passengers to evacuate the aircraft. Ogden firefighters were deployed as a precaution, but the plane’s engine did not catch fire. Officials on scene determined there was a mechanical failure in the engine. A private plane takes off from Schafer Meadow airstrip in the Great Bear Wilderness. The airstrip was grandfathered into the federal wilderness area, and backcountry aircraft use is now an official part of the U.S. Forest Service planning process. The biggest challenge to backcountry flying is having a place to land your airplane. That’s why small-plane pilots around the country were celebrating last week when they got official notice that recreational aircraft are now a recognized part of the U.S. Forest Service’s planning process. While the change doesn’t bring any new resources, it does mean planes get considered along with horse corrals, bike trails, snowmobile routes and other backcountry user needs. About a century ago, Missoula-area pilots and Forest Service staff pioneered backcountry air use as a way to fight forest fires and resupply remote ranger stations. The South Fork of the Flathead River had at least seven air strips at one time. 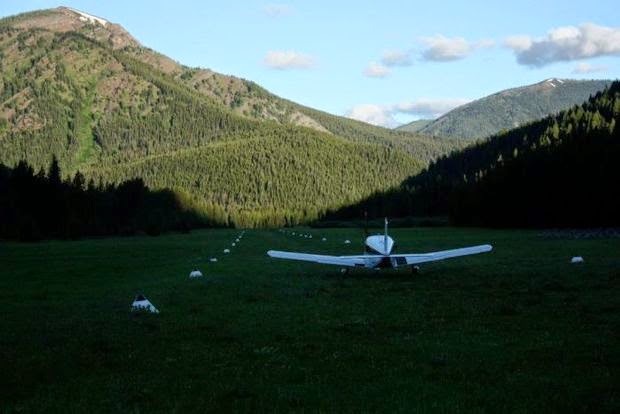 Today there are six recognized landing fields on Forest Service land in all of Montana. When the RAF started advocating for better recognition, the Forest Service did an inventory of airfields throughout the West. The agency came up with 92, while RAF fliers reported 119. Recreational Aviation Foundation public lands director Mark Spencer said he ran into the issue the first time he tried backcountry flying. For the past two years, the Forest Service has been drafting its Planning Rule – a set of guidelines that tell local forest supervisors how to write forest plans for individual forests. The Flathead and Lewis and Clark national forests (which together oversee much of the Bob Marshall Wilderness) are both undergoing forest plan updates that use the new planning rule. That means features like the Benchmark airstrip west of Augusta, the Meadow Creek field south of Hungry Horse Reservoir and Schafer Meadows airstrip in the Great Bear Wilderness will all get specific consideration as the new management plans and travel policies are developed. All three fields existed before the ground received congressional wilderness designation, and all three have been grandfathered for future use. But that doesn’t mean the fields are universally accepted. A wheelbarrow at Schafer Meadows has drawn controversy because visitors have used it to haul rafting gear to the nearby Middle Fork of the Flathead River – in violation of the wilderness prohibition on wheeled equipment. Normandeau said pilots were aware of their “noise signature” and the RAF recommended keeping it to a minimum. The group has also brought volunteers to repair or upgrade Forest Service airstrips, and recently built the first new one in 50 years at Russian Flats in the Belt Mountains near Martinsdale. The group has also commissioned a study looking at the effects of airplane noise on wildlife in order to answer those concerns, according to RAF spokeswoman Carmine Mowbray. 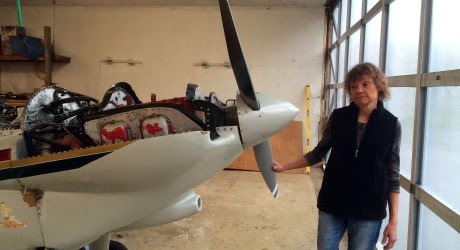 Mary Rosenblum, president of the Oregon Pilots Association, with her plane in her garage near Canby, Oregon. Rosenblum doesn't like the idea of leaded fuel, still used by many small aircraft, but she says alternatives are hard to find. It’s no secret lead exposure is dangerous. Even low levels can affect a child’s brain. It’s also no secret that airports are one of the last remaining sources of airborne lead in the U.S. The U.S. Environmental Protection Agency attests to both these facts. And yet, the EPA has yet to declare an “endangerment finding” for leaded aviation fuel. That means it hasn’t said whether those emissions pose enough of a threat to public health or welfare to trigger the long and complex process of regulating them. Lead was removed from car fuel and paint in the U.S. decades ago. That drove levels of lead in the air down nearly 95 percent. The amount of lead in Americans’ blood dropped just the same. Large, commercial planes use jet fuel, which is lead-free. But lead remains an additive to the aviation fuel still used by piston-engine aircraft, such as smaller airplanes and helicopters. About 230,000 of these aircraft are in use worldwide, and 167,00o are in the U.S.
Scientists now say no amount of lead exposure is safe for children. Lead paint in old homes is still the most likely source for children’s lead exposure. But aircraft are some of the only active polluters putting lead into the environment. Environmental groups have petitioned or sued the EPA to force action on this issue three times since 2006. Each time the agency has denied them. It has most recently delayed until 2018 a decision on lead emissions from aircraft. Lubischer is part of Oregon Aviation Watch, a group whose frequent complaints about the airport in Hillsboro target concerns ranging from noise to national security. It was a petition from Oregon Aviation Watch, Friends of the Earth and Physicians for Social Responsibility that triggered the EPA’s latest denial in late January. “I think it’s kind of a no-brainer,” Lubischer said of removing lead from aviation gas. Fuel use at the Hillsboro Airport emits roughly half a ton of lead per year, making it Oregon’s leading producer of airborne lead. It’s one of more than a thousand airports that produce nearly 80 percent of lead emissions throughout Oregon, Washington and Idaho, according to an analysis of EPA data. Across the country, airports account for nearly half of all lead emissions. Critics of the EPA, such as Marcie Keever, legal director at Friends of the Earth, say the EPA’s delays on lead mirror other stances by the agency that divorce science from politics, despite a pledge from the Obama administration to base its policies on science. “With the pressure and the politics that EPA is under, it’s almost impossible to even get something as harmful and clearcut as lead taken out of this fuel stream,” Keever said. One independent study in 2011 showed children living near airports had slightly higher concentrations of lead in their blood. It’s been widely cited by environmental groups. Combining that, estimates of aircraft emissions and the federal government’s advisory that lead is unsafe in children’s blood at any level, groups like Keever’s say the EPA has all the information it needs to declare lead fuels dangerous. The EPA declined an interview request for this story. An agency spokeswoman said in an email that it takes the issue seriously and is currently collecting necessary data. The EPA is currently tracking lead concentrations at 17 of the country’s nearly 20,000 airports. Two of those 17 did not meet the national air quality standard for lead. The agency estimates 16 million people live within one kilometer of an airport. “Our investigation includes necessary data collection and analysis that will provide nationwide estimates of the contribution of aircraft lead emissions to lead air pollution concentrations as well as an analysis of the impacted population,” EPA spokeswoman Enesta Jones wrote. The Federal Aviation Administration has tried for years to develop an unleaded fuel. It, too, is targeting 2018. Its plan for implementing that fuel standard would take the better part of a decade. Alternatives exist now, but they tend to be either expensive or not widely available. In Hillsboro, the airport recently unveiled a plan to supply unleaded gasoline. Many planes flying with leaded fuel could use unleaded gasoline so long as it doesn’t have ethanol. The airport hopes to reduce emissions by a tenth of a ton by introducing the fuel. But an airport study found that in addition to being costly and usable only for certain aircraft, many pilots are reluctant to use unleaded fuel regardless of price. Mary Rosenblum, president of the Oregon Pilot’s Association, said safety is one factor. “There are a lot of people who are understandably reluctant to go out and fly over the Rocky Mountains with a fuel that maybe will cause something to deteriorate,” Rosenblum said. Rosenblum spends much of her day in the garage, working on her custom-built plane. Hers can actually use unleaded fuel, but she says there are very few places she can find it without ethanol. Rosenblum doesn’t like the idea of leaded fuel. Still, she’d prefer not to see a regulation. The emissions are minimal, and the costs would be great. A writer by profession, Rosenblum flies as a hobby. 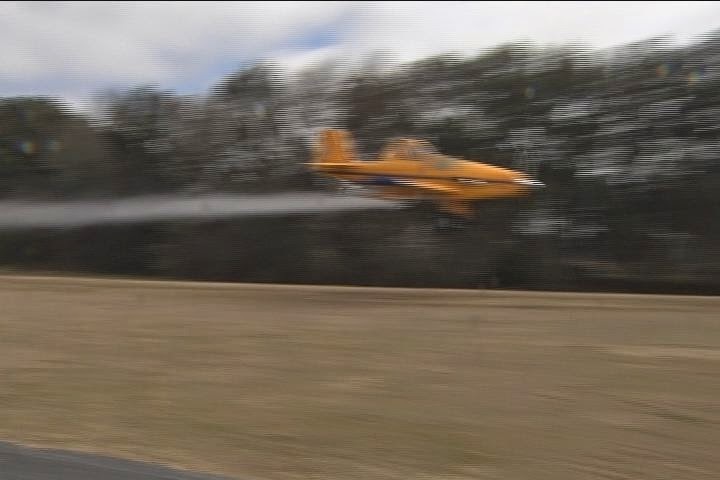 She worries more about what the loss of leaded fuel would mean for the crop dusting, surveying and transport planes she says are crucial to the rural economy. Meanwhile, not much data in Northwest states exists to link airport lead emissions directly to effects on human health in the region. DEQ does not monitor lead at the state’s 457 public- and private-use airports, though. What it knows about lead at the Hillsboro airport comes from an air toxics monitor stationed less than a mile away from the airport, which is not set up specifically for lead. Armitage said lead is one of several chemicals that could make the agency’s priority list for future monitoring. DEQ also doesn’t have the authority to regulate aviation if it wanted to, Armitage said. That’s one more reason she and others were hoping to see federal regulation move faster. “We were looking forward to their work on this and the potential regulation of lead because we still have concerns that it could be causing a problem,” she said. 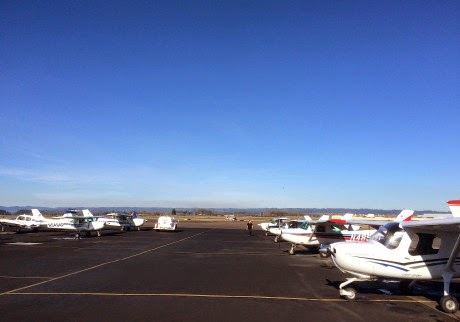 Airplanes line the tarmac at the airport in Hillsboro, Oregon. The airport is considering supplying unleaded fuel. Many piston-engine aircraft like small planes and helicopters use aviation gas, a fuel that contains lead. Environmental advocates have called on the U.S. Environmental Protection Agency to end the use of lead in aviation fuel. ALBANY, GA (WALB) - Three generations of a South Georgia family are proud crop dusters. The Andrews Family has more than 128 years of combined experience in the cockpits of agriculture airplanes. South Georgians see crop dusters at work all the time, but being in the air with them is amazing. The planes fly at 130 miles per hour, about four feet off of the ground. 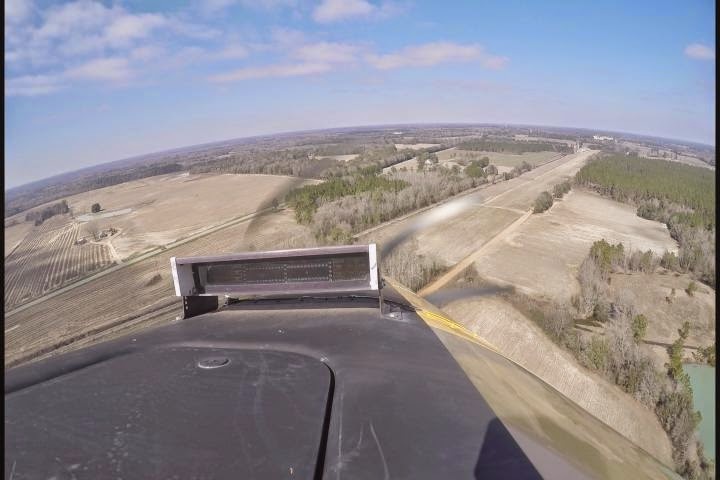 Bruce Andrews took the controls of one of Bruce's Flying Service crop dusters to show what it's like. "They watch you for the crash. They thinking you are going to crash most of the time," he said. 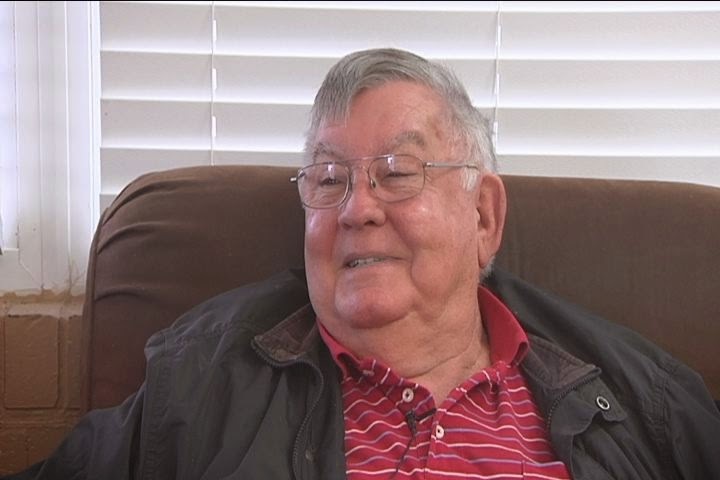 Fred Andrews started crop dusting in 1957, beginning this family flying tradition. Sons Eddie and Bruce followed in his footsteps, and now Bruce's son Patrick is in the cockpit. "We always been a close-knit family, and always work real close together," Andrews said. They say piloting has better benefits than most jobs. "It's just getting up and you can see different things," explained Eddie Andrews. "I started mixing when I was very young, and been around airplanes pretty much all my life," Patrick Andrews said. Technology like GPS computer controlled spraying and turbine engines have made crop dusters more efficient over the years, but the pilots still have to fly close to the ground. "You [sometimes] run into a wire or hit a tree or something like that. Bump the ground. Those things happen," cautioned Bruce Andrews. But the Andrews family will carry on crop dusting across the country. The Andrews Family plans to spray 11 months of 2015. They will be in Pennsylvania for the month of May to spray against moths. Then they will head to Nebraska and North Dakota for corn crops. After that, it's back to South Georgia for peanuts. Fred has crashed eight planes in his career, but after 56 years he says this may be the season to stay grounded. "Unless the bugs are biting real bad, I'm just going to watch them," he said. Several eyewitnesses reported observing the airplane performing several takeoffs and landings. One witness stated that, during one landing attempt, the airplane was low, that a go-around maneuver was initiated, and that the airplane banked sharply left and right during the maneuver. The witness reported that the second landing attempt was successful and that the airplane was then taxied back to the beginning of the runway for another takeoff. During the accident approach, the airplane was observed flaring too high and banking left. One witness stated that the pilot added power and categorized the subsequent climbout as very shallow just before the airplane impacted an antenna and terrain. A postimpact fire ensued. Examination of the wreckage revealed no abnormalities or malfunctions that would have precluded normal operation. Review of flight school records revealed that the student pilot's first solo flight was 4 days before the accident and that the flight was 0.8 hour long. It could not be determined if the first solo flight was considered the student pilot's supervised solo or if the accident flight was considered the supervised solo. The flight school's standard operating procedure was to "completely go through all requirements twice"; therefore, although the accident flight was the student pilot's second solo flight, it should still have been supervised by the flight instructor. The flight instructor reported that the student pilot was scheduled to fly about an hour earlier than when the accident flight initiated; however, due to work requirements, the student pilot had to delay the flight. The flight instructor stated that the student was "upset" about the delay. He said that they conducted three takeoffs and landings together, which took about 30 minutes, and that he then exited the airplane for the student pilot's solo flight. The flight instructor reported that, when the student pilot departed on the solo flight, he witnessed a "beautiful" landing and then went inside to check on another student. He subsequently observed the student pilot conduct more landings, which he categorized as "good." A cell phone was located inside a thermally damaged case. The cell phone was found off; however, when activated, it indicated that a missed call occurred around the time of the accident. According to the manufacturer, the cell phone may overheat and shut down when exposed to high temperatures and will not register a call when powered off. Therefore, it is likely that the cell phone was on and that the pilot was aware of the incoming call when it was received. Although the investigation could not determine if the student pilot had become distracted by a cell phone call, the flight instructor further stated that the student was very focused on learning but that he was distracted when his cell phone rang. However, the flight instructor did not require the pilot to turn the cell phone off during flight. The flight instructor was in a position of authority and operational control and should have taken steps to ensure that the student was not distracted by the cell phone while flying. The student pilot's failure to maintain control and climb the airplane during a go-around maneuver. Contributing to the accident was the flight instructor's failure to provide adequate oversight of the student pilot by ensuring that the cockpit was free of distractions. 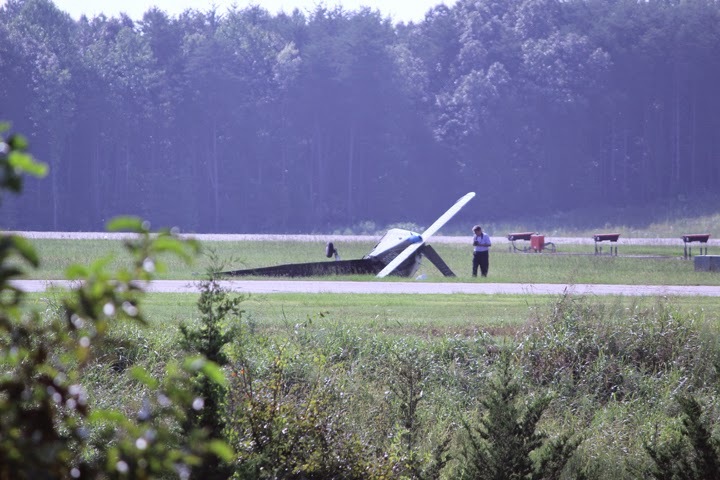 On August 29, 2013, about 1945 eastern daylight time, a Piper PA-28-161, N9089N, was destroyed when it impacted an on airport instrument landing system (ILS) glide slope antenna, the ground, and then a postaccident fire ensued at Danville Regional Airport (DAN), Danville, Virginia. The student pilot, was fatally injured. Visual meteorological conditions prevailed and no flight plan was filed for the local solo flight which was conducted under the provisions of Title 14 Code of Federal Regulations Part 91. 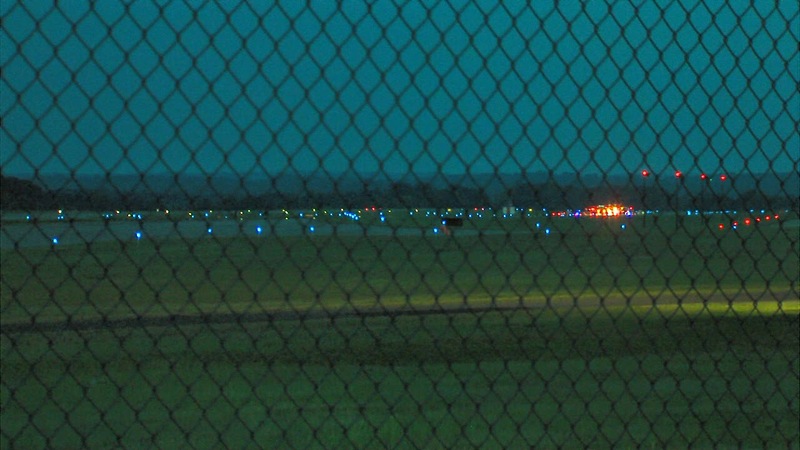 According to several eyewitnesses, the airplane was observed performing repeated takeoffs and landings to runway 2. During one of the landing attempts the airplane "appeared too low;" the airplane's engine power could be heard increasing, and a go-around maneuver commenced. During the initial go-around the airplane rolled "sharply left…then sharply right" before it began to climb out. On the second attempt, the landing was "normal" and the airplane taxied back to the beginning of the runway for takeoff. During the accident approach, the airplane "flared high, then rolled left" and then began to climbout "very shallow" and "appeared level" prior to impacting the antenna. The witnesses reported hearing the engine power increase and just prior to impacting the antenna and then engine power decreased. Based on certificated flight instructor (CFI) and eyewitness interviews the actual number of landing attempts could not be conclusively determined. According to Federal Aviation Administration (FAA) and General Aviation Flight, Inc., the flight school, the pilot, age 42, held a student pilot certificate dated August 14, 2013, which was also a third-class medical certificate. At the time of certificate issuance, the student pilot reported 8.8 total flight hours. Although, at the time of this writing the student pilot's logbook had not been located, flight school records showed the student had accumulated about 13 total flight hours, of which, an estimated 1.6 of those hours were solo flight. The student's first flight was accomplished on June 24, 2013. The first solo flight recorded in the flight school's record was on August 25, 2013 and was 0.8 hours in duration. The flight school documentation further stated "SOP [Standard Operating Procedure] is to completely go through all requirements twice and then to review selected ones as per student needs and desires." According to FAA records, the airplane was issued an airworthiness certificate on December 11, 1986, and was registered to General Aviation, Inc on December 5, 1986. It was powered by a 160-hp Lycoming O-320-D3G engine, serial number RL-13625-39E, driving a Sensenich 2-bladed propeller. The airplane's most recent inspection, noted as an annual inspection in the logbook, was accomplished on August 6, 2013. At the time of that inspection the airplane had 13,976.8 total hours of time in service. The engine's most recent inspection, noted as a 100-hour inspection in the logbook, was accomplished on August 6, 2013, at 4,211.1 hours of total time in service and 1,876.2 total hours since major overhaul with a recorded tachometer time of 13,976.8 hours. At the time of the inspections the tachometer was recorded as 3,976.8 hours. Prior to the accident flight the aircraft tachometer was recorded as 4020.6 hours. The most recent recorded fueling was accomplished on August 27, 2013, at DAN. The airplane had been fueled with 20.1 gallons of fuel. The 1953 recorded weather observation at DAN included wind from 050 degrees at 5 knots, 10 miles visibility, clear skies, temperature 26 degrees C, dew point 21 degrees C; altimeter setting 29.99 inches of mercury. On the day of the accident, official sunset was at 1950, end of civil twilight was at 2016. The airport was a publically owned airport and at the time of the accident did not have a control tower. There were two runways designated runway 2/20, and runway 13/31. However, at the time of the accident, the airport was under construction and runway 13/31 was closed. Runway 2/20 was normally 6,502 feet long; however, due to construction, it was 3,028 feet long and 150 feet wide. The airport elevation was 571 feet above mean sea level. The ILS glide slope antenna was located about 900 feet from the runway threshold to runway 2 and about 175 feet from the west side of the paved portion of runway 2/20. The ILS glide slope antenna exhibited impact damage 39.5 feet above ground level (agl). Ground scars were present between the runway and taxiway "A." The left wing was collocated with the ILS glide slope antenna. The accident flight path was oriented on a 346 degree heading and the debris path began about 20 feet prior to ILS glide slope antenna and consisted of the left wing beginning at the wing root and included the entire wing. The debris path terminated 176 feet past the antenna. The debris path included a ground scar in a position consistent with the right wing impacting the ground in a right wing low attitude. The impact mark was located 105 feet from the antenna. Two propeller strike marks were also located along the debris path. The marks were 31 inches apart and the first strike mark was about 5 inches in depth. The second mark consisted of the propeller assembly including both blades and the propeller hub. The main wreckage came to rest on a heading of 129 degrees. The engine and cockpit exhibited fore-to-aft crushing and thermal damage. The engine remained attached to the firewall via the tubular mounts. The propeller was found separated from the engine and was located along the debris field and one of the blades, which was imbedded in the ground, exhibited minimal S-bending and leading edge damage. The ignition switch was found with the key remaining in it; however, due to thermal damage it could not be determined on the actual position. The fuel selector valve remained attached to the side wall; however, due to thermal damage the position of the switch could not be determined. According to the CFI, the selector valve was likely in the "LEFT" position when he exited the airplane prior to the student departing on the solo flight just prior to the accident. Both front seats remained attached to their respective seat tracks. The rear seats remained attached to their attach points. The left shoulder harness buckle remained attached the left side of the belt buckle. One side of the seat belt in the rear seat remained attached to the fuselage structure; however, no other seatbelts or buckles were located. The flap lever, located between the two pilot seats, was in the bottom detent, which correlated to the flaps "UP" position, which also correlated to the flap position found on both wings. The main entry located on the right side of the airplane was thermally damaged; however, the door latch was in the locked position. A cellular phone was located in the wreckage, in a carrying case, and the case had extensive thermal damage. Removing the phone from the case revealed it was not on; and after it was turned on for examination it revealed that a missed call was received at 1946 EDT. According to the cellular phone manufacturer's online technical support, the model of phone found in the wreckage may overheat and shutdown when exposed to temperatures that exceed 35 degrees C; and it will not register a missed call when powered off. Engine continuity was confirmed from the propeller hub to the rear accessory pad via hand rotation of the propeller flange. Thumb compression was confirmed on all cylinders during hand rotation. The top and bottom spark plugs were removed, appeared to be light gray in color, and were "normal" in wear according to Champion Spark Plug Guide. The bottom spark plugs associated with the Nos. 2 and 4 cylinder were oily to the touch. Due to thermal damage, neither magneto was able to produce spark but the impulse coupling had positive contact that was heard when rotated by hand. The fuel pump was disassembled and no noted anomalies were found with the check valve, and all gaskets exhibited thermal damage. Examination of the fuel pump actuator rod revealed that it was able to be operated by hand. The oil filter, which was thermally damaged, was removed from the engine and disassembled. The filter media was removed for examination and no metal material was found. The oil suction screen was removed and was free of debris. The vacuum pump was removed and rotated by hand, it was disassembled, and the carbon vanes remained intact. The throttle and mixture control arm positions were unreliable due to impact and thermal damage. The right wing remained attached to the fuselage and exhibited impact crush damage and thermal damage at the wing root. The wing tip also exhibited impact crush damage in the negative direction beginning at the wing tip and proceeding inboard 66 inches. The flap was in the retracted or flaps "UP" position. The aileron remained attached to the wing at its wing attach point. Cable continuity was confirmed from the control yoke to the right aileron as well as the cross aileron cable, which also remained attached to the left wing's aileron bell crank. The aileron bell was found separated from the left wing; however, remained attached to both aileron cables. The right wing's fuel cap remained attached, seated correctly, and locked in position. The fuel tank contained a blue fluid with similar smell and color as 100 LL Aviation fuel. The right main landing gear remained attached to the wing attach points. The rudder and stabilator remained attached to the empennage; however, the top of the rudder and the vertical stabilizer had impact damage. Cable continuity was confirmed from the base of the rudder pedals to the rudder; however, examination of the cables revealed they were off their associated pulley located in the rear of the tail section. There was no gouge or wear marks on the cables that would indicate the cables were off the pulley prior to the accident sequence. The stabilator counter weight remained intact. Elevator cable continuity was confirmed from the base of the control column to the elevator bellcrank; however, similar to the rudder, the cables were found off the pulley. There was no gouge or wear marks on the cables that would indicate the cables were off the pulley prior to the accident sequence. The pitch trim was found with five threads exposed on the bottom, which measured 11/16 of an inch of exposed threads, that correlated to a neutral trim position. The left wing exhibited crush and impact damage beginning at the wing root and proceeding outward, with the larger area of damage concentrated at the wingroot. The fuel tank was breached, devoid of fuel, and the fuel cap remained secured and seated. The flap remained attached and was found in the retracted or "UP" position. The aileron bellcrank was separated from the wing attach point but did remain attached to the cable and continuity was confirmed from the base of the control column, through the separation, to the aileron. The aileron remained attached to the associated attach points. The stall micro-switch remained attached on the leading edge of the wing. The micro-switch was removed from the wing and continuity was confirmed using a multimeter when the switch was moved by hand to close the contact. The left main landing gear remained attached; however, an angle iron was found penetrating the inboard wall of the tire approximately 2 inches from the brake assembly and the tire was found deflated. An autopsy was performed on the pilot on August 30, 2013, by the Office of the Chief Medical Examiner, Roanoke, Virginia. The autopsy listed the cause of death as "inhalation of smoke and thermal injuries," and the report listed the specific injuries. Forensic toxicology was performed on specimens from the pilot by the FAA Bioaeronautical Sciences Research Laboratory, Oklahoma City, Oklahoma. The toxicology report stated neither ethanol or carbon monoxide were detected, and Amlodipine was detected in the urine and the blood; however, no quantified amount was provided. According to the FAA Aerospace Medical Research Forensic Toxicology website, Amlodipine is a calcium channel blocker heart medication used in the treatment of hypertension. In a recorded interview, the CFI stated that the day of the accident the student pilot was scheduled to fly at 1730; however, due to work requirements taking longer than anticipated, the student pilot had to delay the flight. The CFI described the student pilot as upset that the flight was going to be delayed. The CFI reported that the student pilot was a medical doctor and that the day of the accident a "procedure" took longer than anticipated. He further reported that the student pilot's patient, while performing the "procedure," almost expired. Upon arrival at the airport, the CFI and student pilot flew three takeoffs and landings, for about a half an hour, prior to the CFI exiting the airplane and the student pilot conducting a solo flight. The CFI informed the student pilot not to exceed eight takeoffs and landings so the student pilot would not "get fatigued." 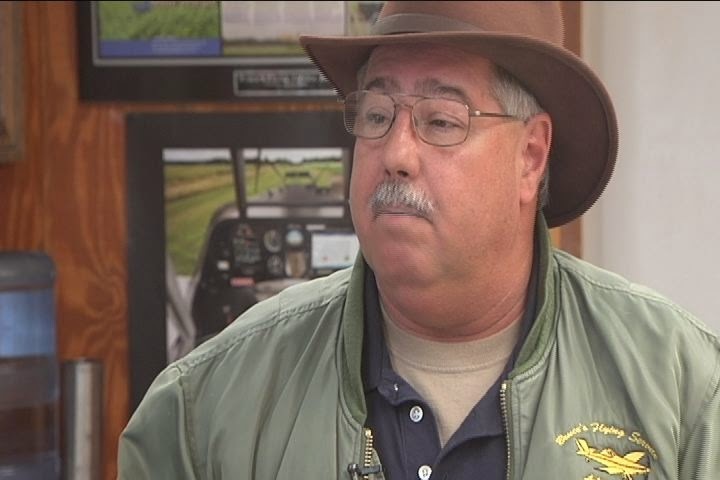 The CFI further stated that he watched the student pilot's first landing, which he categorized as "beautiful," and then went inside the building to check on another student, came back out and "saw another good landing," went back inside the building, came back out, got on a golf cart, "saw a couple of more good landings." The golf cart was positioned on the taxiway, in order for the student pilot to see it and terminate the takeoff and landing practice as it was "time to put the airplane up." The CFI then observed the airplane "a little bit low," heard the engine increase in power, and observed the airplane level off, banked, and impact the glideslope antenna. The CFI further stated that the student pilot was very focused on flying; however, when his pager or cellular phone sounded, he would immediately reach for it. The CFI provided an example of, while in the airport traffic pattern, the CFI's cellular phone "went off" the student "…started looking like it was for his." The CFI further stated that "It's my cell phone. Forget it. And he [the student] looked at me like, forget the cell phone? He couldn't imagine somebody just ignoring a cell phone." 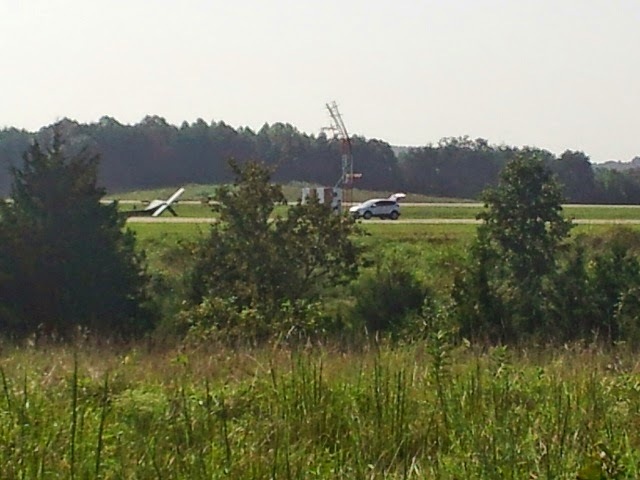 The CFI estimated the student performed five landings prior to the accident. According to the Aeronautical Information Manual (AIM), a pilot can self-assess his ability to fly by applying a personal checklist known as IMSAFE. The acronym stands for Illness, Medication, Stress, Alcohol, Fatigue, and Emotion. The AIM stated that "Stress and fatigue can be an extremely hazardous combination…" The AIM also stated that "the emotions of anger, depression, and anxiety…not only decrease alertness but also may lead to taking risks…any pilot who experiences an emotionally upsetting event should not fly until satisfactorily recovered from it." According to a pilot safety brochure produced by the FAA's Civil Aerospace Medical Institute, Fatigue in Aviation, Medical Facts for Pilots (OK-07-193) states in part, "Fatigue leads to a decrease in your ability to carry out tasks…significant impairment in a person's ability to carry out tasks that require manual dexterity, concentration, and higher-order intellectual processing. Fatigue may happen…in a relatively short time (hours) after some significant physical or mental activity…"
According to Chapter 7 "Instructor Responsibilities and Professionalism" under the section titled "Aviation Instructor Responsibilities" indicates five main responsibilities of aviation instructors. Those responsibilities are listed as "Helping Students learn. Providing adequate instruction. Demanding adequate standards of performance. Emphasizing the positive. Ensuring aviation safety." The chapter further explains that there are at least eight "Additional Responsibilities of Flight Instructors" and two of those responsibilities are "Pilot supervision" and "Student's pre-solo flight thought process." According to Chapter 8 "Techniques of Flight Instruction" in the section titled "First Solo Flight" states in part "During the student's first solo flight, the instructor must be present to assist in answering questions or resolving any issues that arise during the flight. To ensure the solo flight is a positive, confidence-building experience for the student, the flight instructor needs to consider time of day when scheduling the flight…If possible, the flight instructor needs access to a portable radio during any supervised solo operations. A radio enables the instructor to terminate the solo operation if he or she observes a situation developing…"
Stage 1, Chapter 3 "Instructor Professional Responsibilities" states in part "…Although the word 'professionalism' is widely used, it is rarely defined. Though not all-inclusive, the following list gives some major considerations and qualification that should be included in the definition of professionalism. • Professionalism exists only when a service is performed for someone or for the common good. • Professionalism demands a code of ethics. Professionals must be true to themselves and to those they serve. Anything less than a sincere performance is quickly detected and immediately destroys their effectiveness." The chapter goes onto state "Training Oversight and Student Supervision – Flight Instructors have the responsibility to provide guidance and restraint with respect to the solo operations of their students. This is by far the most important flight instructor responsibility because the instructor is the only person in a position to make the determination that a student is ready for solo operations…"
According to Section 9.3 "Instructor Responsibilities" states in part "I. Student Pilot Supervision…B. Flight instructors have a moral and ethical obligation to provide guidance and restraint with respect to the solo operations of their student…"
Danville, VA-- There is now more information on the plane crash at Danville Regional Airport that left a student pilot dead in 2013. 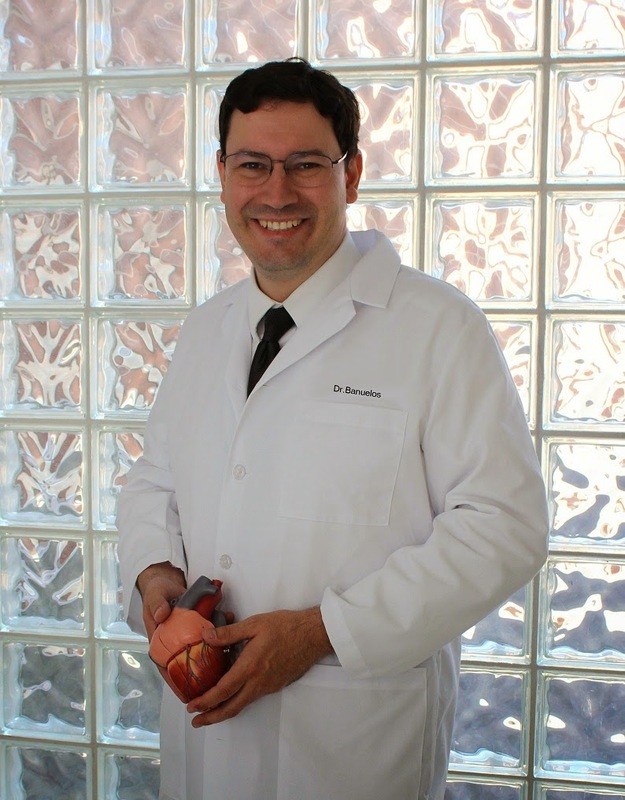 35-year-old Dr. Scott Banuelos was killed. The National Transportation Safety Board said in their final report that Banuelos failed to maintain control and climb the airplane during a go-around maneuver. It also said the flight instructor failed to provide adequate oversight of the student pilot by ensuring the cockpit was free of distractions. They believe a cell phone call during the flight may have been a major distraction.